OMG! Why is Kitty crying? Great emotional cover. 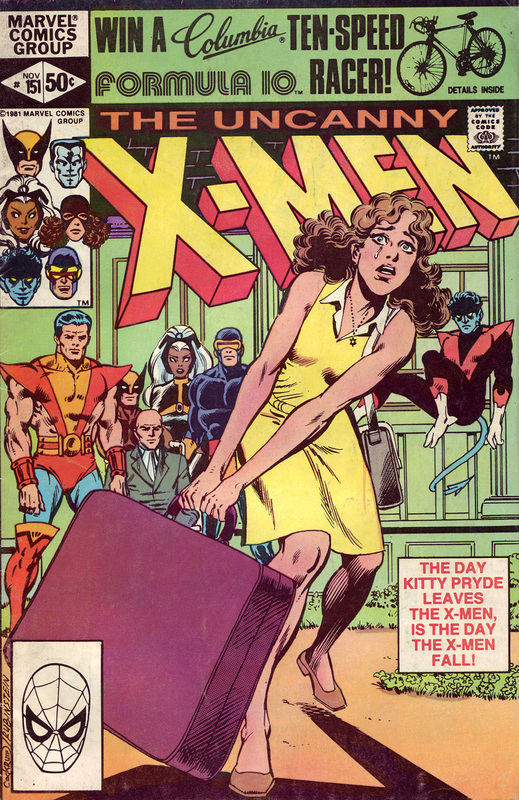 Love the perspective & the way the suit case looks so large and heavy with Kitty lugging it. Check back tomorrow night for more in the count-down of my Top 100 favorite comic book covers. For such a plain cover, it’s surprisingly effective.